What’s Going on With the FBI Investigation Into Allegations Against Kavanaugh? At the request of the Senate Judiciary Committee, the White House ordered a one-week FBI probe into the sexual-assault allegations made against Brett Kavanaugh on Friday, which will delay the full Senate’s vote on whether to confirm the Supreme Court nominee. Republicans initially ignored Democrats’ call to investigate Kavanaugh for weeks, but they submitted after Republican senator Jeff Flake — who was confronted by sexual-assault survivors after announcing that he would support the nominee — declared at the last minute that he would not vote yes without an FBI inquiry. While the investigation is, on the surface, exactly what the Democrats and Christine Blasey Ford requested, the White House’s initial strict parameters around the probe — as well as the short time frame in which it’s set to take place — have raised concerns about its fairness, and who the White House seeks to protect. Below, here’s everything to know about the FBI investigation. What exactly is the FBI probing? 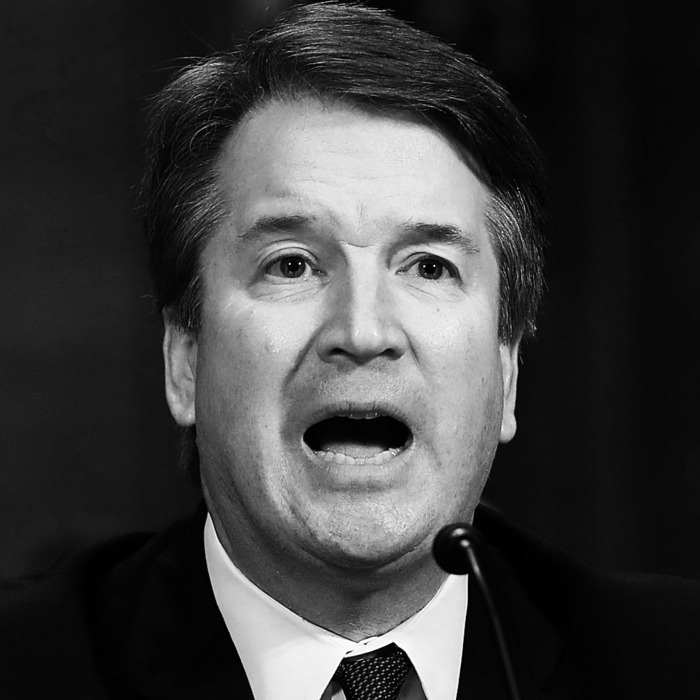 What’s not being investigated is Kavanaugh’s behavior in high school and college, which his classmates say was defined by partying and drinking to excess, at which point the SCOTUS nominee would allegedly become “aggressive” — accounts that drastically differ from those Kavanaugh offered while under oath. Some senators, including Bernie Sanders, have raised concern over the FBI’s apparent disregard for the likelihood that Kavanaugh may have perjured himself. Originally, Senate Republicans and the White House instructed the FBI to interview just four witnesses: Mark Judge, Kavanaugh’s alleged accomplice who Ford says was present during her alleged assault; P.J. Smyth, another one of Kavanaugh’s high-school friends; Leland Keyser, who was high-school friends with Ford; and Ramirez. While Julie Swetnick, Kavanaugh’s third accuser, has stated that she’s willing to cooperate with investigation, the FBI did not have any plans to interview her. After receiving backlash for putting strict constraints on the probe, Trump authorized the FBI to “interview anybody that they want within reason,” including Swetnick, according to an from the New York Times. (Trump went out of his way to note that he’s been told the Swetnick has “very little credibility,” however.) The same day, nine Democrats on the Senate Judiciary Committee sent a list of 24 people and entities that they believe should be interviewed to White House Counsel Don McGahn and FBI Director Chris Wray. Nine Senate Judiciary Democrats have sent a letter to Don McGahn and Chris Wray with a list of 24 people and entities that they believe the FBI should speak with as part of the Kavanaugh investigation. The list includes the Potomac Village Safeway. On Tuesday evening, lawyers for Chris Garrett and Tim Gaudette — two people listed as attending a July 1, 1982 party in Kavanaugh’s calendar — confirmed that the FBI has spoken to their clients. Tom Kane, another person listed as attending the same party, told he would “rather not say” whether he had cooperated with the FBI. Ford has still not been interviewed. On Tuesday evening, Politico her lawyers had sent to top FBI officials, imploring them to interview her. “It is inconceivable that the FBI could conduct a thorough investigation of Dr. Ford’s allegations without interviewing her, Judge Kavanaugh, or the witnesses we have identified in our letters to you,” it reads. But according to a Wednesday from Bloomberg, the FBI might not even interview Ford or Kavanaugh, as two sources told the publication that the bureau never received clear authority from the White House. When will the FBI investigation end? On Friday, September 28, the Senate Judiciary Committee requested that the investigation conclude “no later than one week from today” – meaning October 5. Majority Leader Mitch McConnell that the Senate will “be voting this week,” at the conclusion of the investigation. It could wrap up even earlier than the initial Friday deadline, according to a report from the : GOP sources said FBI agents have interviewed four key witnesses already, and the probe could be over as early as Tuesday night or early Wednesday. Is the scope of the investigation under scrutiny? Although Trump responded to the backlash, announcing on Monday that the FBI could interview more than the four original witnesses, not all of the public’s worries have been assuaged. The FBI must still conclude its investigation by Friday, which gives the bureau little time to contact additional sources. Furthermore, Trump suggested that he wanted the scope of the investigation to stay limited to the sexual-assault allegations, as he asserted that it was hypocritical of Democrats to condemn Kavanaugh’s alleged drinking, saying, “I happen to know some United States senators, one who’s on the other side who’s pretty aggressive.” He also did not address looking into the possibility that Kavanaugh lied under oath.